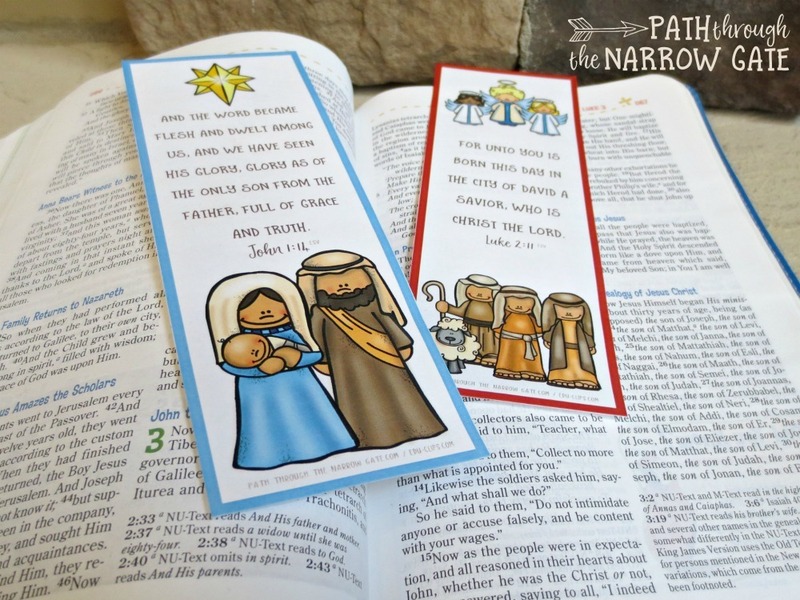 The bookmarks come in four different designs per page, and in three different Bible translations – ESV, NIV, and KJV. Print the page and cut out the bookmarks. 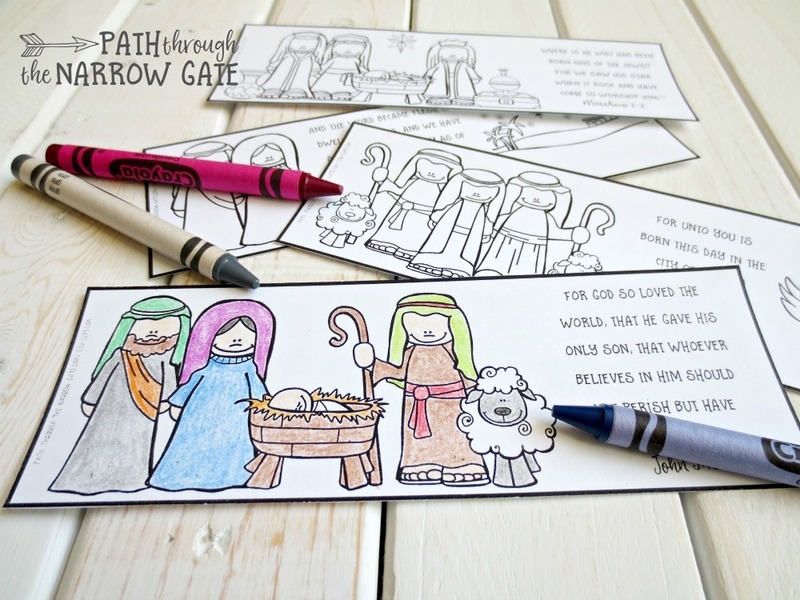 If you are looking for a craft, print the bookmarks in black and white and encourage your kids to cut and color them themselves. 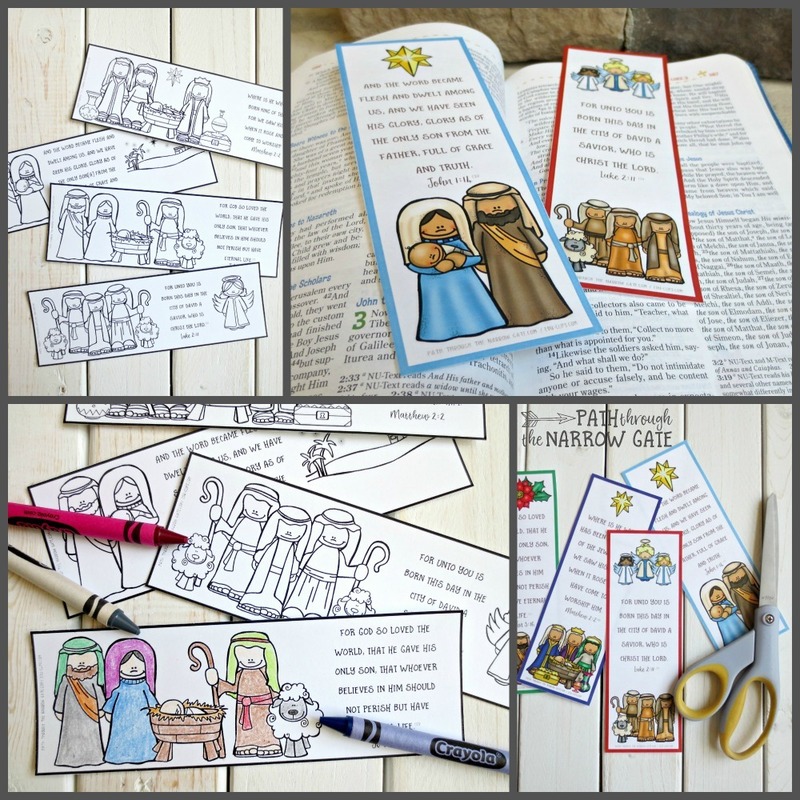 These bookmarks also make adorable gifts for little ones to make for parents or siblings. Have them on hand for your kids to work on on Christmas Day, or mail them to extended family that you won’t get to see this Christmas. 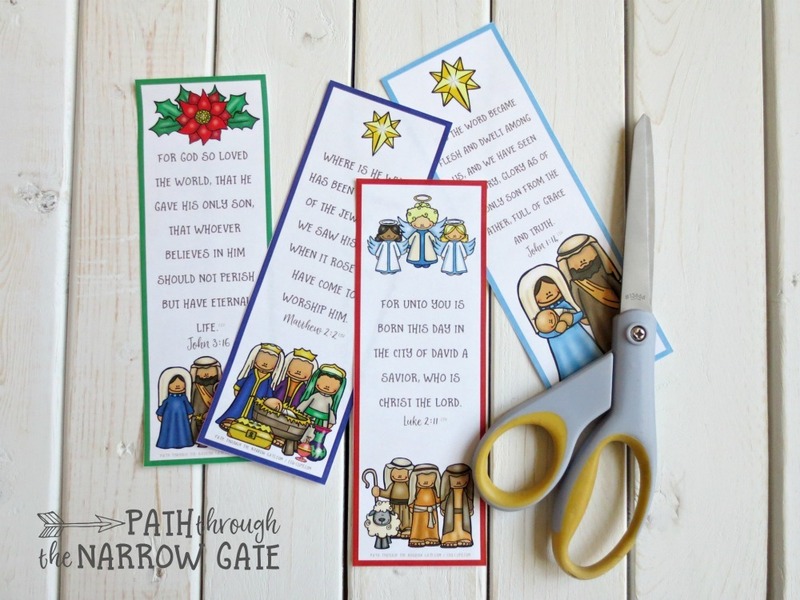 If you would like to make these bookmarks extra special, consider laminating them or covering them with contact paper. I hope that you love these bookmarks. 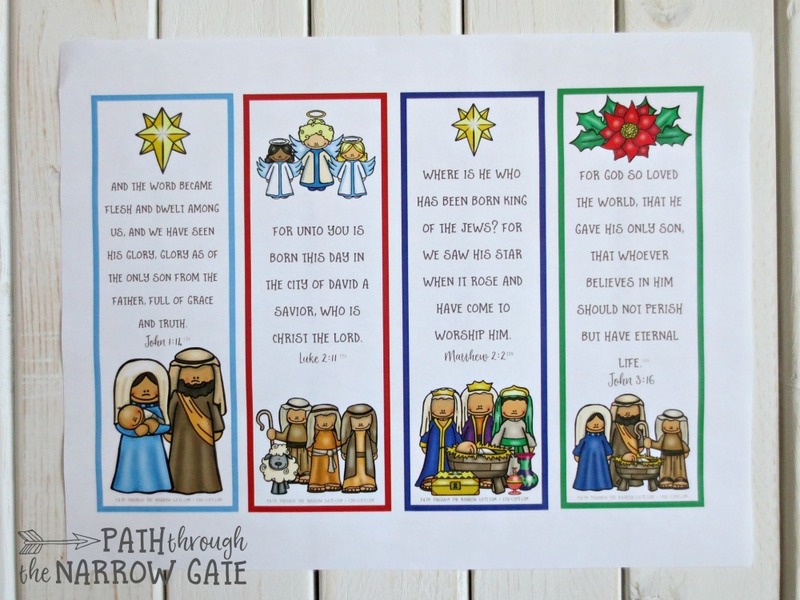 More than that, I hope that these bookmarks will remind you and your kids of the true meaning of Christmas this year. We serve such an amazing God! He sent Jesus to this sin-cursed world to live among us. Jesus lived the perfect life that we could never live. Then, He offered up His own life in payment for the sins that you and I have committed, that we might have peace, a relationship with God, and hope for an eternity in heaven. What a wondrous story to ponder this Christmas season! Now it’s your turn. 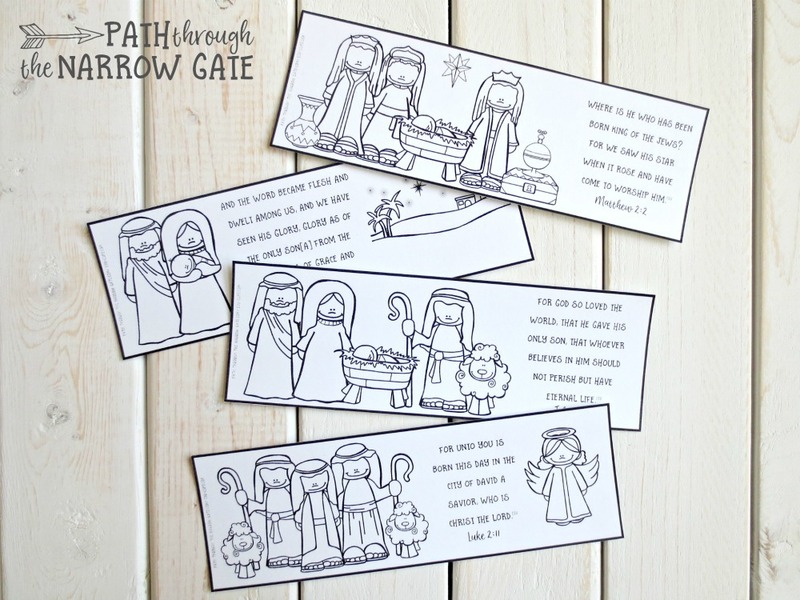 Will you use these Christmas bookmarks? If you do, I would love to hear about it. Please scroll down to comment.